What you read on this page is the next chapter in the story that started almost 100 years ago. It’s a story of ordinary people who have done extraordinary things. People like you have responded to God’s invitation to be part of something amazing; something larger than you and larger than me. This is the story of Hillcrest Baptist Church and how God has called us to love and serve God and love and serve others. Most of you have already experienced or heard of the incredible things God has done through this church. Those stories of life change happened because people like you listen to God’s voice and respond. As we continue Expanding Our Reach to new limits and sharing God’s love with our city, country and the world, we will surely see far greater things than we’ve ever imagined! Please read the following pages carefully and ask yourself what you are willing to commit to see this story of life-change continue. More importantly, what commitment is God asking you to make? Pray for the faith to meet His request. Ask your family what impact they want to have in their schools, workplace, community and the world. Then pray that God would give you the clarity of mind and conviction of heart to respond to Him in faith and obedience. Thank you for your partnership in accomplishing this vision, and I look forward to seeing how God will continue His story of Hillcrest. Our main goal every time we meet together as a church family is to encounter God. Our Worship Center is the heart of our campus and is in need of renovation and upgrades to the media. Remodel the Worship Center and upgrade the old media equipment to better communicate the message of the Gospel. Relocate the Indoor Playground just off the foyer and convert the current space into a dedicated Children’s Worship Center. From our children to our senior adults, Hillcrest is committed to equipping believers to grow in Christ and share their faith. All of our Adult, Student and Children’s Ministries are lacking in space. Adults currently meet in several buildings across our campus. Children are also scattered around campus, providing logistical and security challenges. Our Student Ministry is growing and has little space for small group discipleship. Remodel Buildings L & M and move the church office there. Remodel the current offices into adult classrooms to allow closer access to the Worship Center. Expand the Preschool and Children’s Wings to provide more space for discipleship. Repurpose Building E for Middle School Ministry. Christ’s final command to his disciples was to “Go and tell…” The Great Commission still applies to us today. Christ is calling all of us, young and old, to engage others with the Gospel. Our church campus is both a public identity in our community as well as a launching point to equip believers to live on mission. Expand the foyer to accommodate fellowship before and after services and enhance our first impression for new guests. Enhance our campus entries with new landscaping, lighting, better signage, and improved flow to be a positive aesthetic light in our neighborhood. Above all, live a life that reflects the Hillcrest mission and vision. What will it take to make the next vital step on this journey? The immediate need is $4.9 million. This seems like a large sum—overwhelming even—especially in a season in which many families are tightening their belts and their budgets. But the reality is, this is an attainable goal. If every family that receives this message simply does what they can, prayerfully…generously…creatively…and in obedience to God’s leading, we’ll get there. Q. Why do we need to start a Capital Giving Program like Expanding our Reach? A. 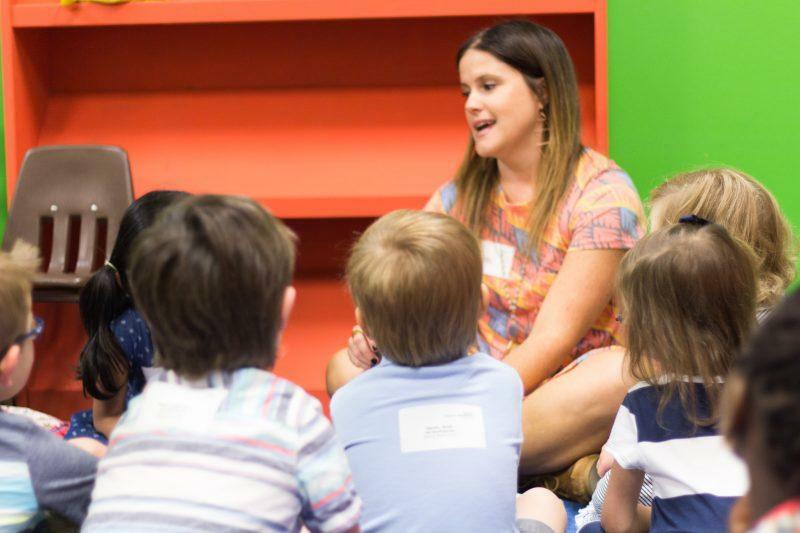 Our Children’s Ministry is continuing to grow and has run out of room, our Student Ministry is in need of small group space, and our Adult Sunday School classes are spread across the campus. Our campus is nearly twenty years old and is in need of much needed renovations. A. No. Only the total of all commitments received will be announced on Sunday, November 18. Q. What is the estimated cost of the project? A. We are estimating that it will cost just under $8 million. Q. When would we start construction? A. Much of the funding for Phase 1 is already in hand from the sale of the Wintergreen property. Construction on those projects will begin this fall. Q. How much money are we hoping to raise? A. Our commitment at Hillcrest is to not incur any outside debt. With approximately $3 million in hand from the sale of the Wintergreen property, we need to raise $5 million to complete all the projects in Phases 1, 2 and 3. Q. What about my regular tithe? A. During this period of rapid expansion and growth, the ministries of Hillcrest Baptist Church will continue meeting people’s needs and growing the community of Christ one life at a time. Because of this, our Expanding Our Reach giving will be above and beyond our regular tithes and offerings. Q. Can we do this?